Roger Federer wasted no time in booking his spot in the third round of the BNP Paribas Open on Sunday evening. 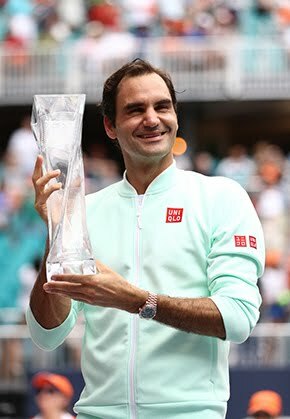 In a battle of veteran players on the ATP World Tour, 35-year-old Federer raced past 36-year-old Stephane Robert 6-2, 6-1 in just 51 minutes. Despite the scoreline, Federer was full of praise for Robert playing some of the best tennis of his career at age 36. The Swiss star was in fine form, winning 71 per cent of his service points and converting all five of his break point chances. Victory takes Federer to a 53-11 mark at the Indian Wells Tennis Garden, where he has lifted the trophy four times, most recently in 2012. 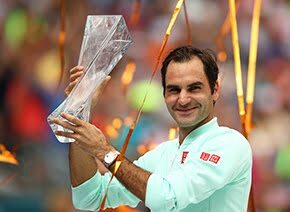 After being sidelined for the second half of the 2016 season, Federer made a remarkable comeback at the start of this year, beating Stan Wawrinka and Rafael Nadal in back-to-back five-set tussles to clinch his 18th Grand Slam championship at the Australian Open. 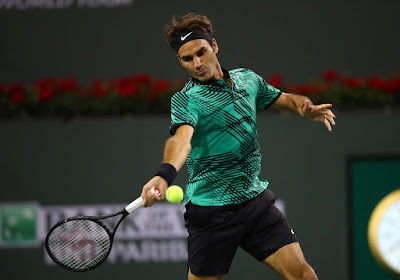 There was a surprise for Federer last week, though, in his second tour-level tournament of the year in Dubai, where he was upset by Evgeny Donskoy in the second round. The Basel native looks to bounce back this week, but finds himself in the toughest quarter of the draw, alongside Nadal and Novak Djokovic. Federer goes on to face 24th seed Steve Johnson, who edged Kevin Anderson 6-4, 3-6, 7-6(4) in two hours and 14 minutes. Federer leads his ATP Head to Head rivalry with Johnson 1-0, defeating the American in straight-sets last year at Wimbledon.